The Wall Street Journal, which broke the story, said that the new platform could also include licensed content from established television and digital video creators. Amazon does, after all, both sell single episodes of more or less every program on television and host content for the 20,000-lb. gorilla of streaming TV, Netflix. Amazon loves digital distribution. 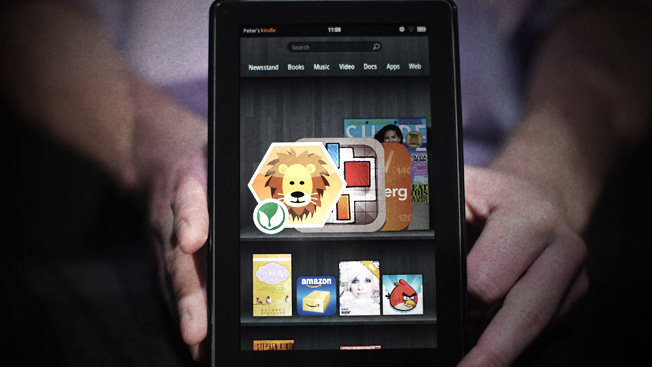 The company has pushed its Kindle devices out to consumers at extremely low prices, frequently below the cost of the hardware. In exchange, those cheaper-than-an-iPad tablets are constantly ad-enabled, with a recent promotion replacing the pleasant lock-screen photographs on a discounted Kindle with tappable ads for buyable downloads and streams (Amazon turns those ads off if you call and ask nicely). And every Kindle, discounted or not, has a constantly rotating stream of suggested purchases that pop up under the icons that scroll across the screen. With shows like Betas (the creators of which are involved in the new effort, according to the Journal), Amazon has invested roughly $1 billion in content and is soliciting pilots from respected directors like Whit Stillman for its next round of material. And with an ad-supported service sporting high-budget content, the new initiative will likely meet with plenty of love from advertisers, who both admire House of Cards and resent the bite streaming media has taken out of measurable, ad-supported television viewership in the recent past. That bite isn't as big as has been advertised, but there's no doubt at all that digital viewership is growing. And the delivery device for that content is also something Amazon wants to sell. The company is expected to announce streaming hardware similar to Google's Chromecast next week when media are invited to an announcement event on Wednesday.